Celebrate the iconic Boeing B-17 in style. The prewashed texture of this standard fit, 100% cotton, short-sleeve T­shirt offers a relaxed look -- perfect for yoga, errands, or travel. 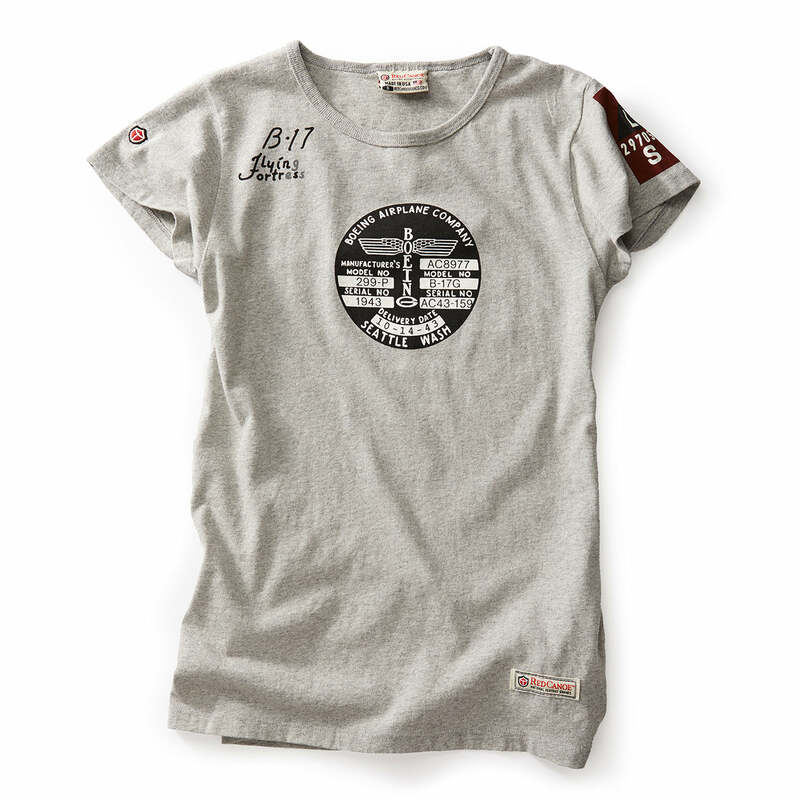 It's designed with a rib collar and features the Boeing B-17 graphic on the back and the Boeing totem logo on the front. Color(s) available at the Boeing Store: Gray. Imported.